يشكل فندق Melbourne City Stays بموقعه الممتاز في قلب هذه المنطقة الرائعة كنقطة انطلاق ممتازة لاستكشاف المدينة. يحظى هذا الفندق ذو 4 نجمات بمكان ممتاز يسمح بالوصول إلى المعالم السياحية الأكبر في المدينة، فهو يبعد مسافة 0 km عن صخب المدينة. يوجد العديد من المعالم السياحية الأكثر جذبًا للسياح في هذه المنطقة. كما يقدم Melbourne City Stays الكثير من الخدمات لإغناء رحلتك في المدينة. تتضمن الميزات الرئيسية في هذا الفندق: واي فاي مجاني في جميع الغرف, مجهز لذوي الإحتياجات الخاصة, مرافق مخصصة لذوي الاحتياجات الخاصة, تسجيل وصول/خروج سريع, تخزين الأمتعة. استمتع بوسائل الراحة الراقية في الغرف أثناء إقامتك هنا. بعض الغرف تتضمن تلفزيون بشاشة مسطحة, حمام إضافي, سجاد, قهوة فورية مجانية, شاي مجاني لمساعدتك على استعادة طاقتك بعد يوم طويل. كما أن مجموعة الخدمات الواسعة الموجودة في الفندق لضمان راحتك تترك لك الكثير من الخيارات لقضاء وقتك أثناء فترة إقامتك. إن Melbourne City Stays هو مكان مثالي للمسافرين الذين يتطلعون إلى الراحة والاستجمام في المدينة. يظل مكتب الاستقبال مفتوحًا حتى الساعة 05:30 مساءً. يجب على النزلاء الذين سيصلون في وقتٍ آخر غير الأوقات المذكورة أن يتصلوا بالعقار مباشرةً قبيل وصولهم؛ وذلك حتى يمكن إجراء ترتيبات أخرى. على النزلاء الذين ينوون الحضور بسياراتهم التواصل مع العقار مسبقًا. We stayed 8 nights and wished we could have stayed 8 more.. Location is PRIME.. Melbourne is at your front door. We enjoyed the option of cooking if we wished and the convenience of a clothes washing machine. Very comfortable and a definite return for us in the future. 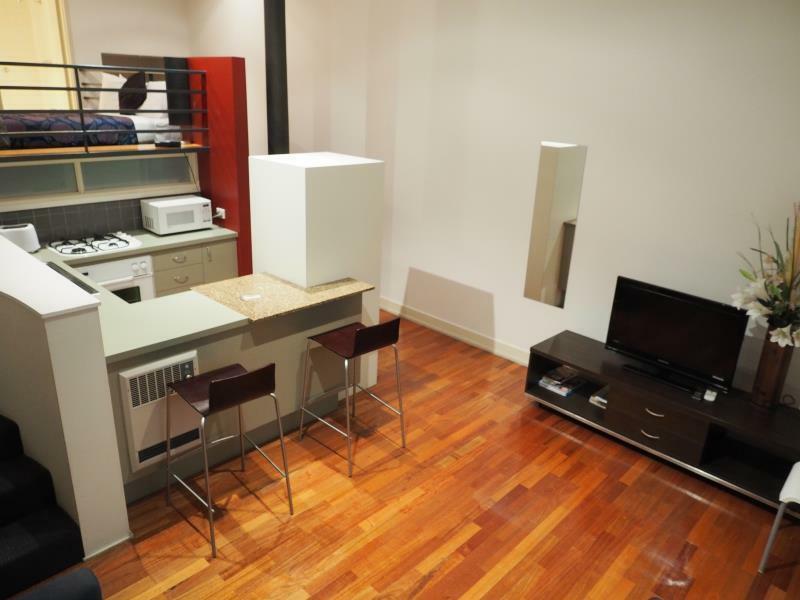 hotel is situated at the heart of melbourne city. nearby to everything and anything. the room was just good. cleanliness not up to standard. the floor were dirty and seems like it had not been swept for a long time. other than that, all is fine. not perfect, but good enough. The place wasn't ready by check in time. We weren't sure what time we would check in so covering all basis, we asked what the procedure was for late check ins. We also asked if this would be the same procedure if we checked in on time and we were assured it was. Upon arrival, my husband went to pick up the keys only to be told it was at another building. He then went to said building only to be told the room wasn't ready. He waited for a LONG time for something we had already paid for and for something that should've been ready as per the check in/check out time agreement. The room smelt of smoke and we noticed that the smoke alarm had been covered with a plastic bag. I'm pretty sure that is illegal and completely unsafe for guests. The cleaner apparently did not notice it or report it to management. They were very quick to deduct money but extremely slow to provide good service. The shower floor floods and takes forever for it to drain. Noisy due to close proximity of cars and trams. TV is only in living room, not bedroom. The only almost decent thing about this place was the location. Was let down by the state of the room and hazards for our 9 month old child. 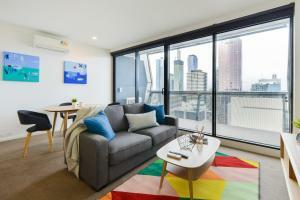 I loved my stay with Melbourne City Stays. The location was fantastic and the apartment had everything I needed. The place is in good location. Do not rxpect much and you shouldn't given the rate you ist is low. Value for money is yes. Upon arrival we had no idea how to get into the building. I had been contacted the day before and said what time I would be there however they failed to mention that I had to go to their office to retrieve the key. Upon entering the apartment it seemed okay but shortly after, it's flaws unravelled. The couch was covered in stains, the hot plate markings had come off so we spent ages trying to figure out which one was which. The blinds were broken which was a massive issue for us since the window looks into a massive office. The shower screen was broken, the wardrobe was being used to store an air con and other things so we could barely since it was already pretty much full. We found several dust balls around the apartment and the free wifi never worked. Wouldn't stay again and would only recommend it if you are desperate and only staying a night. we found it comfortable however not being able to open a window for fresh air was annoying. Also the curtains did not allow for complete darkness to sleep.We found the staff very helpful in helping us to arrive. We would recommend to our friends. 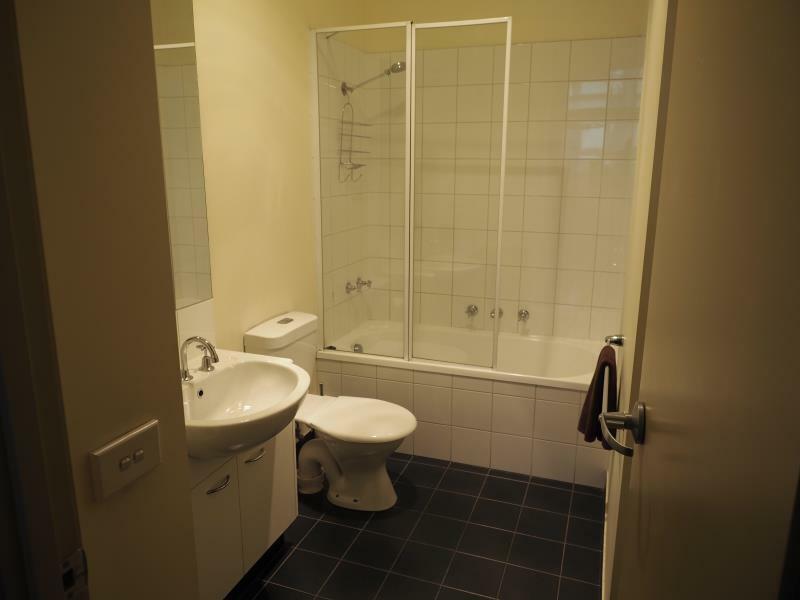 washing machine and dryer, full equipped kitchen, walking distance to VQM and Flinders Street. 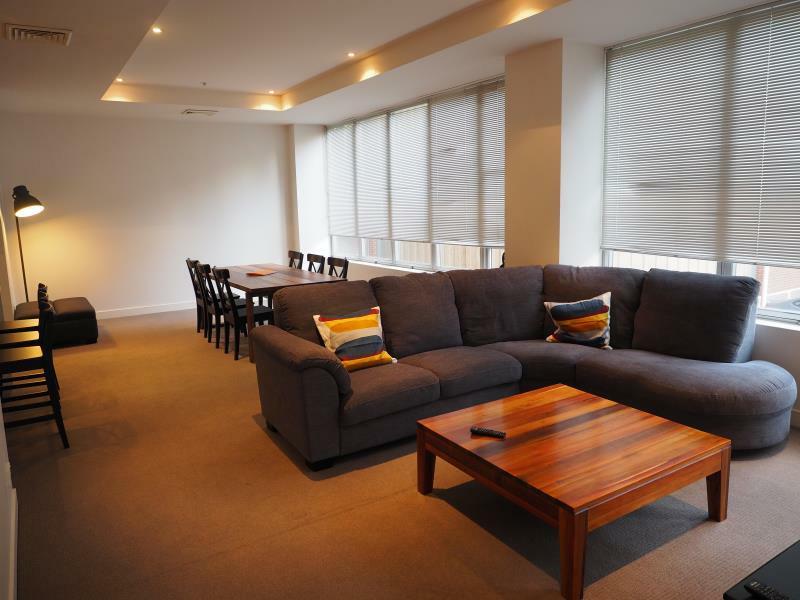 Quite convenient location as is walking distance to places like VQM, Flinders Street Railway, Yarra River and more. Nearby has cafe and restaurant as well. If you feel like cooking, can buy some food from VQM or Woolworths and cook yourself as a full equipped kitchen is provided. It was great. As the apartment was in the city we were able to go back and forth to restaurants and shopping with ease. It was however noisy during the night as the double windows did not make the apartment soundproof and there seemed to be some construction work going on at odd times. The location was excellent, close to everything that we needed. Looked like they were possibly undergoing renovations and the apartment we stayed in definitely needed it. Apartment was very clean. Staff looked after our luggage after checkout which was quite handy. We arrived late due to a cancelled flight so at 1am we were upset to find out they had locked the pull out couch. Only one queen and one single in the room for 4 of us. After calling, we finally got our call returned and we had to go out and get the keys ourselves! And then we opened the bed to find the sheets dirty and used. We rang back and he said, "I don't think so, my staff are very good". I've worked in housekeeping for 4 years including at a well-known international 5 star hotel, these were used sheets! They weren't even tucked in and even the mattress protector was crumpled at the bottom indicating it had been slept in. We had to strip the bed and put down a blanket and another sheet from the queen bed so our friends could sleep (2:30am by then). We had no pillows and were short towels and spent two days leaving voicemails because he wouldn't answer our calls. Finally used a different phone and he picked up right away! At the end of the call I said thank you very much and he said okay and hung up on me, so rude! No compensation or apologies were offered. So my friend finally got his towel for our last night and he could stop using the floor mat! Good location but we definitely would've stayed somewhere else if we had known this was to happen. Only 1 heater worked and some parts of the bathroom had mould. No complimentary wifi as listed here, no desk, one two seater couch for 4 of us to sit down. Not worth it.